do te think Dom and Brian would make a good Slash pairing?. la scelta dei fan: no Brian and Dom are better as best friends. Which of these Brian pairings do te like better? Who do te think is the leader of Dom and Brian's crew? Leon is one of my preferito characters in the Fast and Furious franchise. "Who?" is the most common response among casual fan when I mention this. Leon was only in the first movie and according to a recente interview (link) with the actor who played him, Johnny Strong, he's probably not coming back. And te know what? I'm glad. So to kick off the inevitable Fast and Furious Anniversary Rewatchathon, I thought I'd do a thing for my 15 preferito quotes. Some of 'em are meaningful on down the line, some of 'em are più memorable than others, some of 'em are just funny. Anyway, my superiore, in alto 15 Citazioni from The Fast and the Furious! Following the success of 2013's "FAST AND FURIOUS 6", I felt sure that the FAST AND FURIOUS movie franchise would finally end. After all, Universal Studios and director Justin Lin had proclaimed the fourth, fifth and sixth films as part of a trilogy. But to my utter surprise, the producers announced their intention for a seventh film da ending "FAST AND FURIOUS 6" on a cliffhanger. 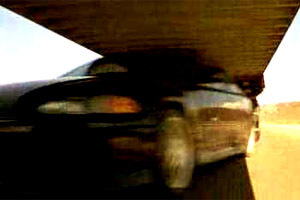 When "THE FAST AND THE FURIOUS" first hit the movie screens in 2001, I never imagined that it would be such a major hit . . . o spawn five sequels. The franchise seemed in danger of ending with a whimper with 2006's "THE FAST AND THE FURIOUS: TOKYO DRIFT", due to its lack of critical success. Three years later saw the rejuvenation of the franchise with the success of 2009's "FAST AND FURIOUS". This movie spawned a mini trilogy of its own, culminating in the latest film, "FAST AND FURIOUS 6". FF7 Productions in association with One Race Films and Original Film are now in pre-production on the action crime thriller feature film "Fast & Furious 7", and casting calls will be going out in Los Angeles for starring, co-starring, and supporting roles. Additional casting for smaller speaking roles will take place in the shooting locations of Georgia and Louisiana. Shooting will also take place in Tokyo and Dubai. The extras will be cast near the locations where filming will take place. Principal Fotografia commences September, 2013. Full title: How family — and diversity — fueled the $4 billion 'Fast and Furious' franchise to historic box office heights. articolo da Jen Yamato for the Los Angeles Times, 17 Apr 2017.
a comment was made to the poll: do te think Dom and Brian would make a good Slash pairing?. a comment was made to the poll: preferito scene in Fast Five?